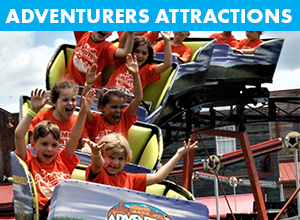 Adventure Park USA is Maryland's largest family entertainment center. With everything from Laser Tag, Go Karts, and Roller Coasters to Miniature Golf Courses, we have enough adventure for the whole family. We even have summer camps for kids. Start planning your fun-filled trip today! Join today to earn VIP member benefits! Be the first to know about new specials and events. Plus, receive offers and discounts via email!